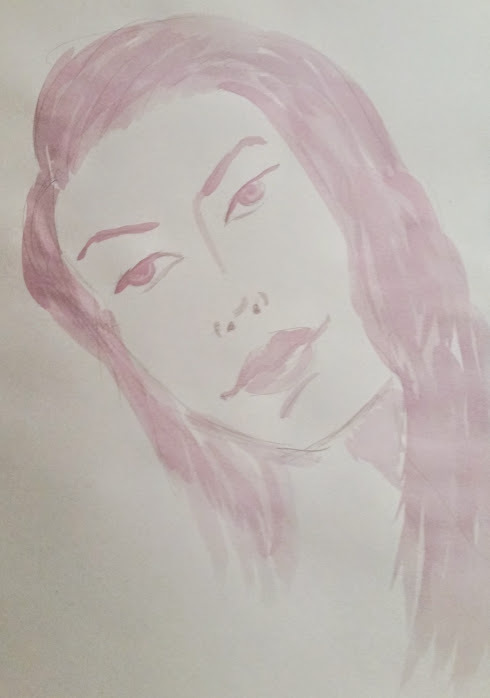 I blog to keep track of the myriad projects I have on the go, not to just shout at the world! “Adult colouring in” is a real thing now, and my wife loves it. I decided to make her a bag to keep all her colouring stuff in. Here’s how I did it. The first step in any project like this is planning. I needed to work out how I was going to put it together and what material I needed. 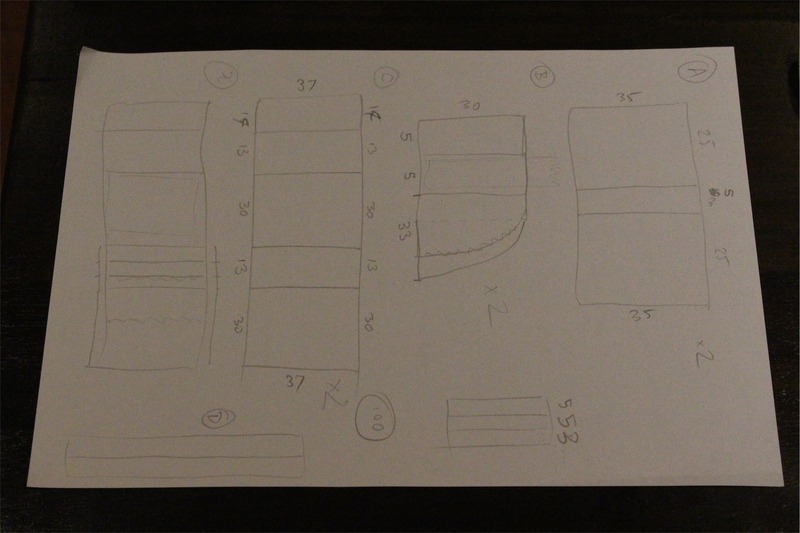 The plan showed me how much I would need (the plan has to have measurements) and also what order I’d need to sew it together to ensure that it doesn’t look sloppy. 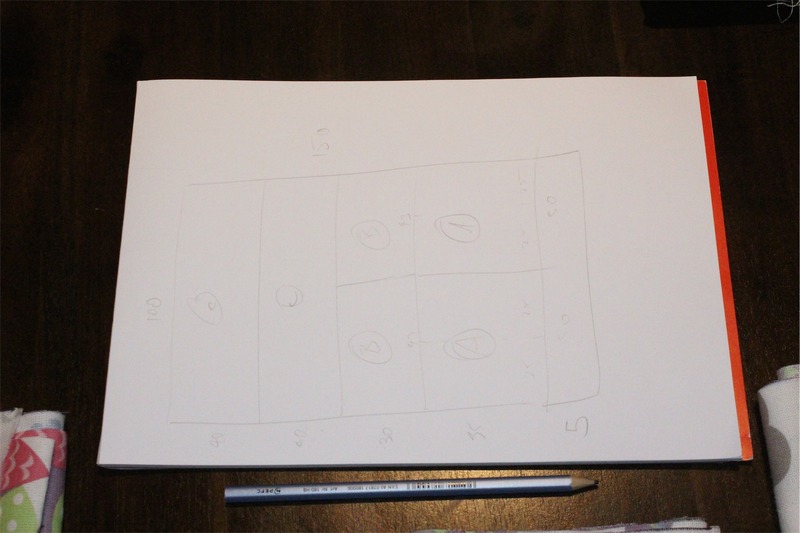 The first picture is the overall plan – what the pieces will look like, how they’ll fit together and the measurements. The second picture is how I could fit all of the pieces into one piece of material and how I’d need to cut it up. Once I had cut all the pieces out of the material (which my wife chose), I had to make sure I didn’t get them mixed up. 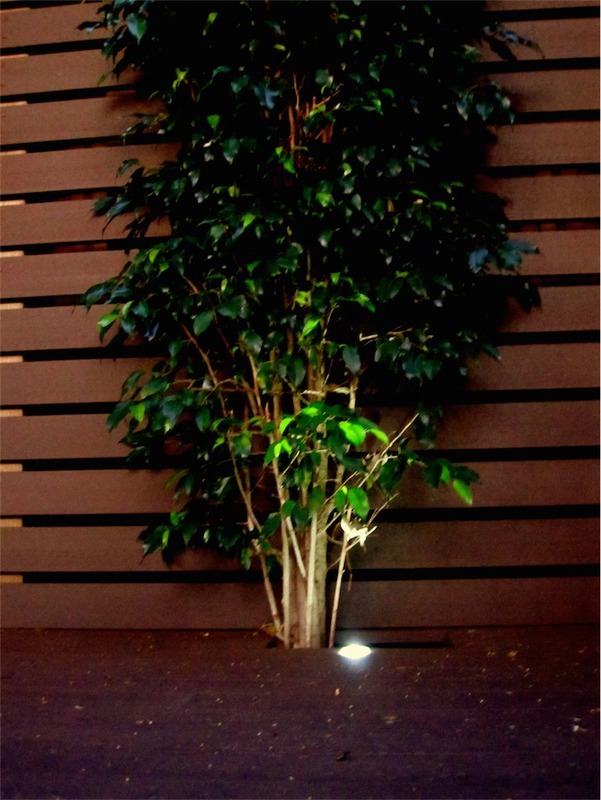 This project also took a number of days to complete, so I had to be able to pack it away if needed. My workbench is also the dining room table! With all the pieces cut out, I then could start sewing. I wanted to make sure the bag was padded so that nothing would get damaged inside. To do this, I used some left over calico material I had to double up the pieces I cut out of the main material. I then cut out some wadding to use as padding. 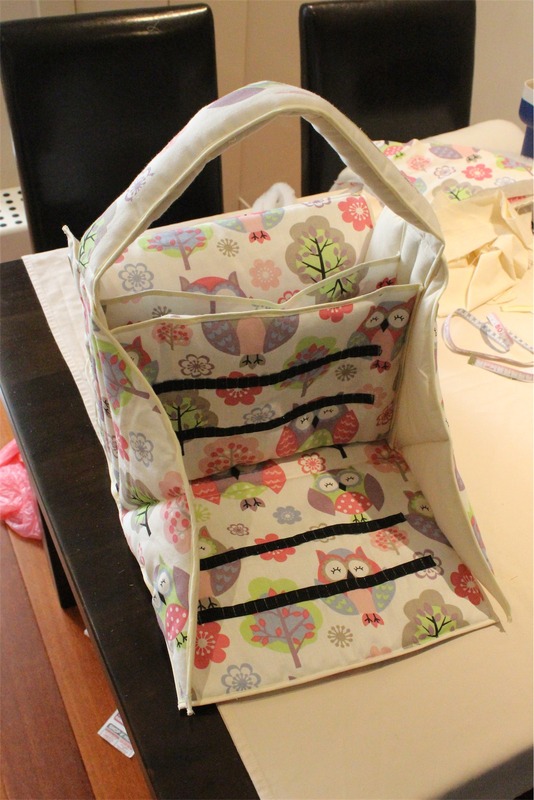 With the pieces padded, it also added stability to the bag so that the bag could stand up and not be floppy. Once the parts were all cut out, I just had to sew around the edges to keep it all together. 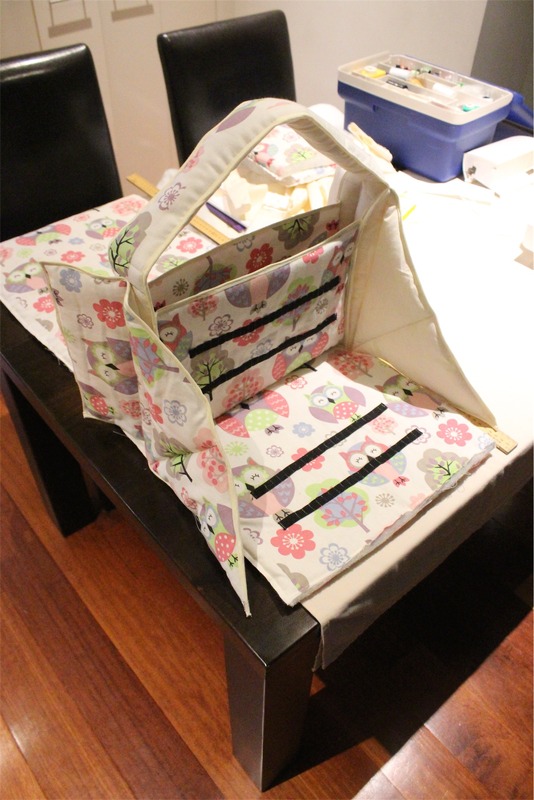 Later on I’ll put bias binding around the edges to ensure it won’t fray and keep the bag nice and strong. I wanted the pencils to be kept in the bag, but not just in a tin. 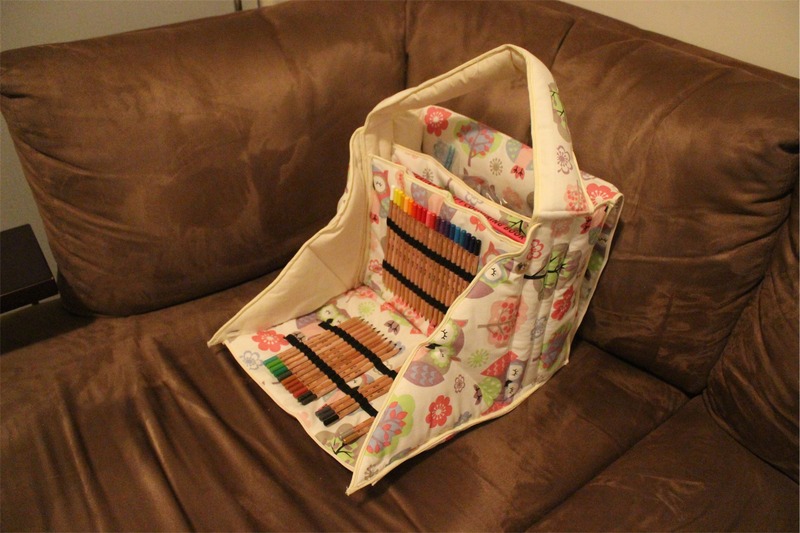 I decided to get a little fancy and sew elastic onto a couple of walls of the bag so that the pencils could be kept there. 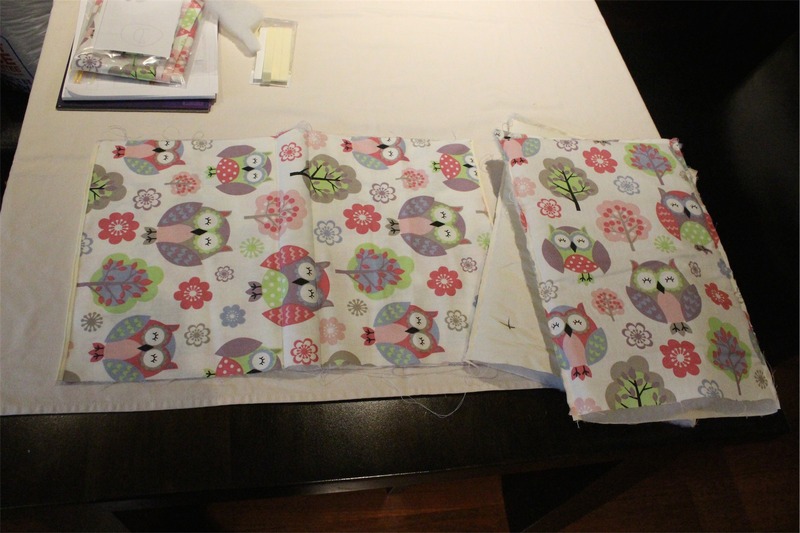 I sewed across the elastic at about 1.5cm spacing so that once the pencils were put in place they would stay there. I also decided during the planning that the front of the bag would fold out so that the pencils could be used individually, rather than having to get them all out at once. 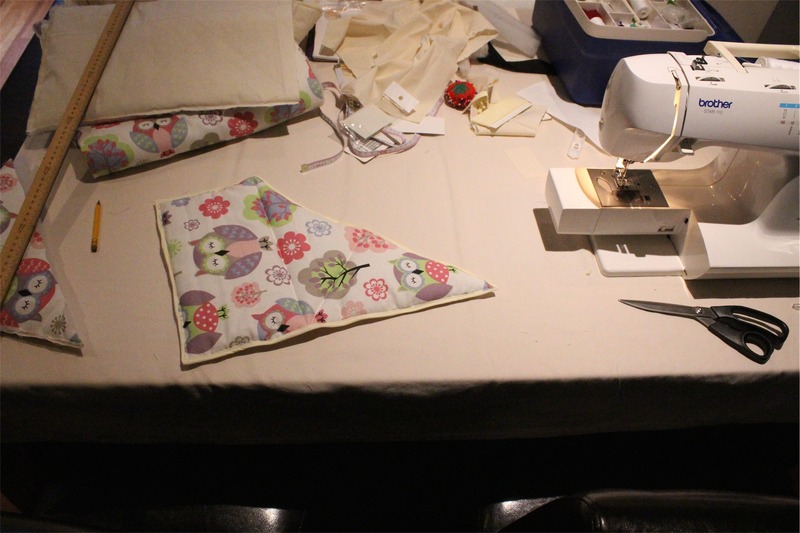 It’s important to remember to sew the elastic onto the material before the wadding and bias binding is added so that you can’t see where the elastic has been sewn. The next step was the bias binding. 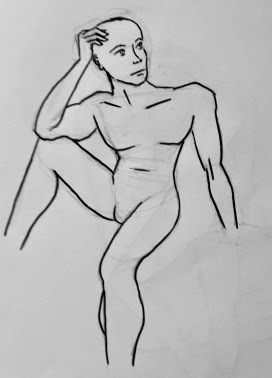 It takes a bit of practice to work out the technique, but it’s worth it. 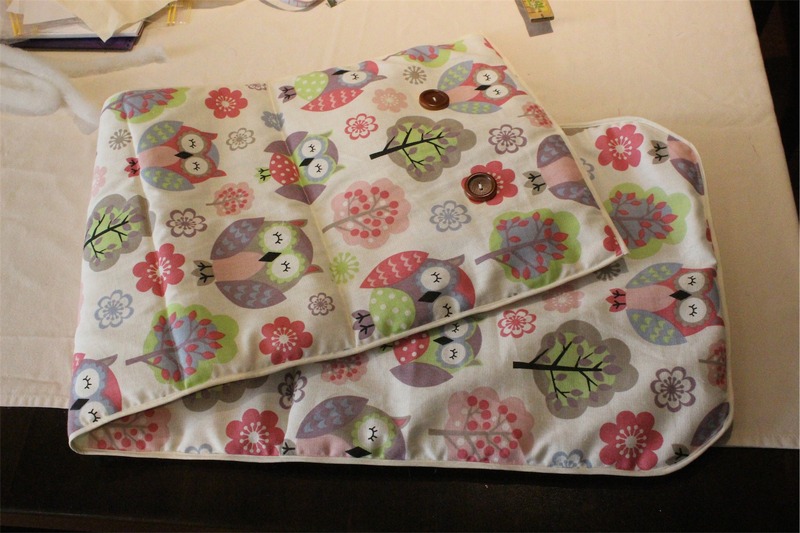 It looks great and keeps the bag strong.Every single piece has bias binding added to it before the bag was sewn together so that it looked good and stopped fraying. The big tip here is to make sure you have enough bias binding before you start – I had to run to the shops half way throgh only to find out they had run out of the colour I used! I found a colour similar, but it was quite annoying. Here’s a finished piece with the bias binding around the edges. This is the side piece that folds up at the front and forms the side of the bag once it’s finished. 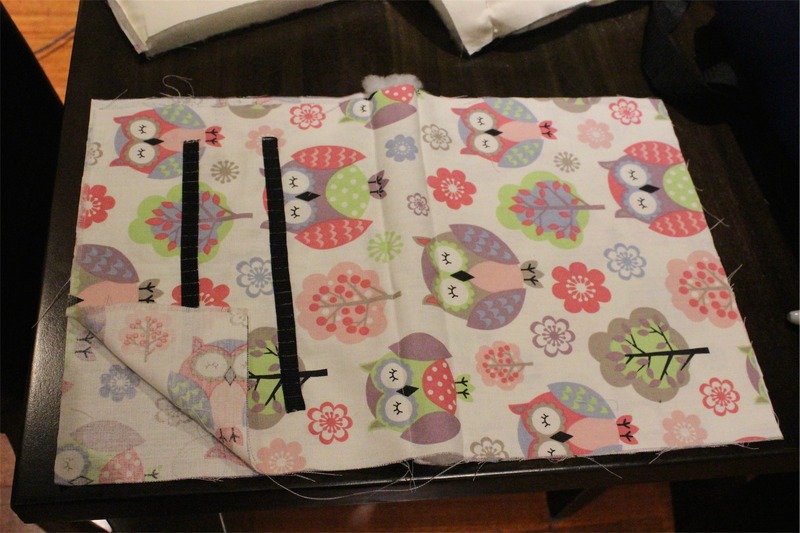 I have also sewn a line along where the bag will fold so that it will move easily once it’s done. I hadn’t made a bag before so I tried to design it from scratch. 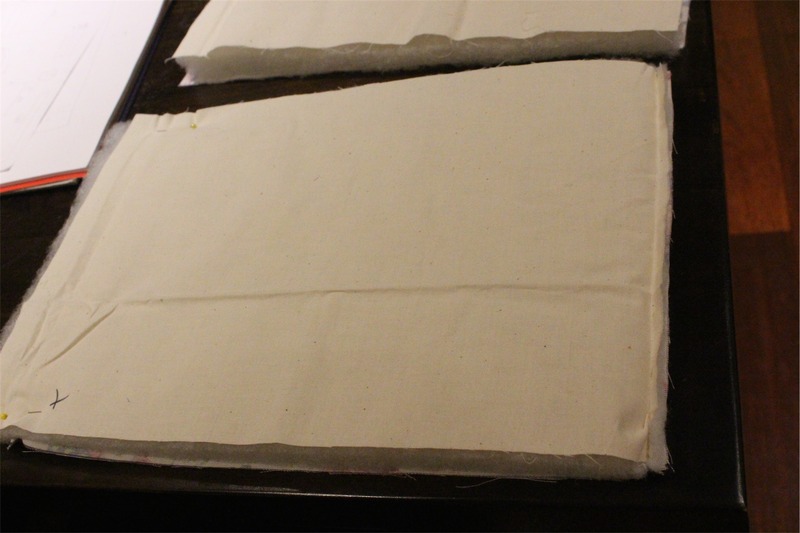 The method I decided to use was to build the inner sections and then have one long piece of material wrap around the middle – this would form the front, back and the flap over the top. I had to test constantly that the pieces were going together in the right order and with the pattern. The next three pictures show a) the bottom piece that wraps around, b) The middle part sitting on the wrap around piece for testing, c) with the bag closed to make sure the material is long enough before sewing. Once I was happy with the test, I then sewed it all together – the handle is integral to the stability of the sides and the internal part. Once finished and cleaned up, I put the bag on the couch to take some final shots. Overall I thought it turned out really well. However, it’s strong and it’s functional and any imperfections are not noticeable at first glance. My wife was very happy with it – which is the main measure of success. 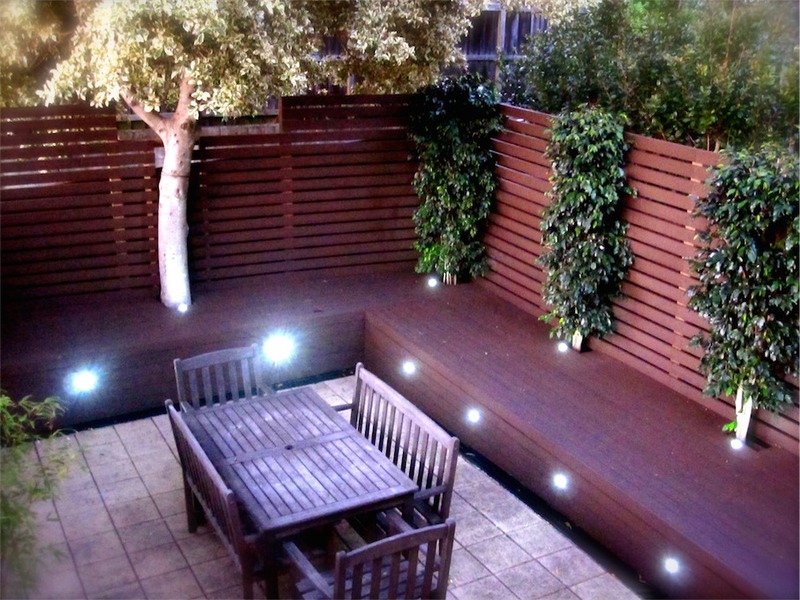 Overall the project took about 3 ten hour days, not including the planning. The overall cost in just materials is around $30. 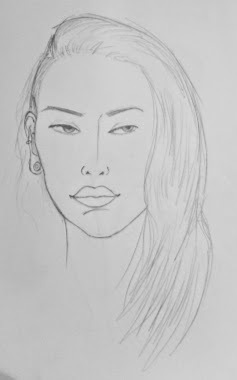 The design ended up achieving everything I had wanted it to. 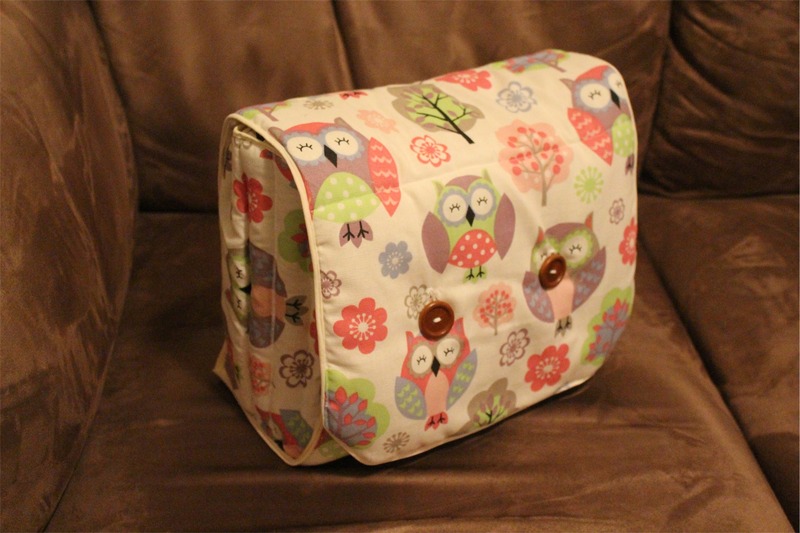 The handle is double padded and able to be tucked into the bag itself for storage. The pencil part folds out nicely held in it’s folded state with two buttons. The top flap has large wooden buttons on the front to hold everything in. The rear section of the bag holds an electric lamp so my wife can do colouring in anywhere. The middle section holds the colouring book, the front has the pencils. With the middle section having it’s own floor, it means that when the wrap around piece goes on, the bottom of the bag has a double padded bottom. I really enjoyed the project as a whole and got a great sense of accomplishment when it was done. 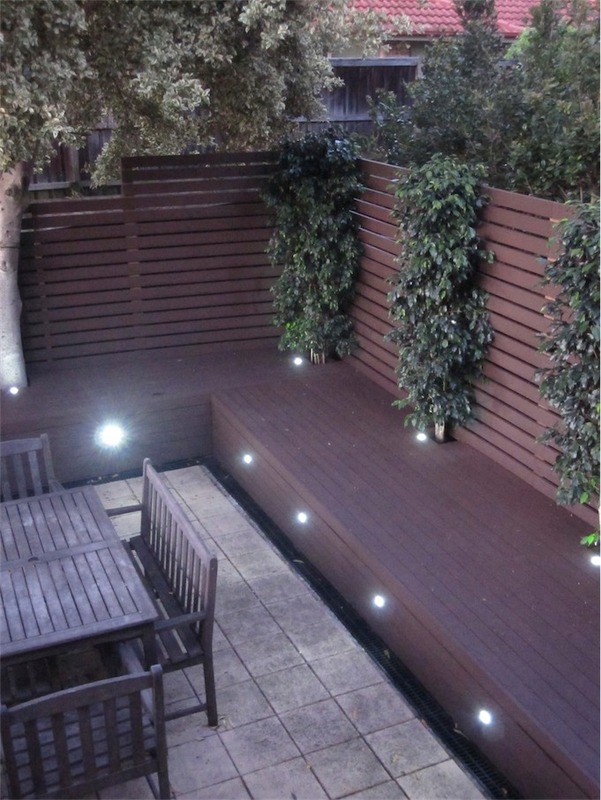 It’s nice to see a project finished and I was really happy with how it turned out. I wouldn’t make the same bag again as it is really time consuming. However, I learned a lot of this during the project. 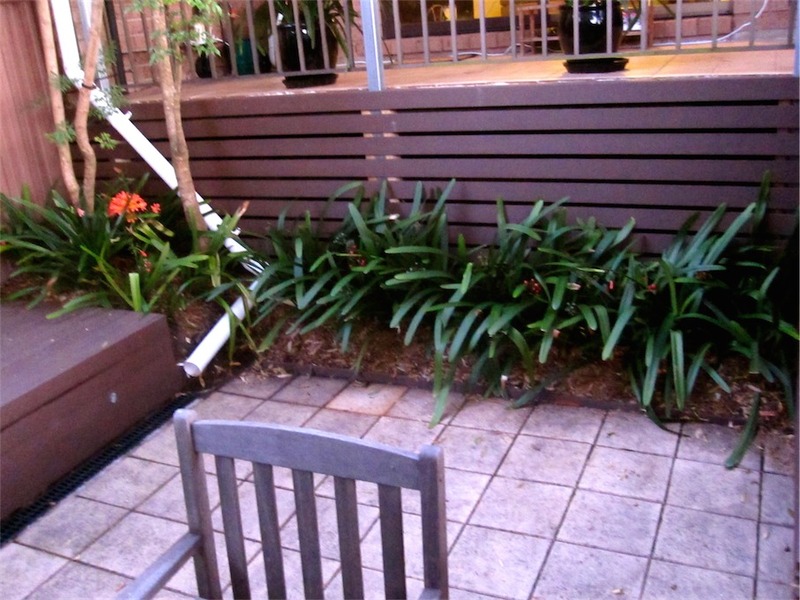 Remember that time I built a massive deck in the back yard? Well, I just realised that even though I had the pictures, I didn’t actually upload the final photos! 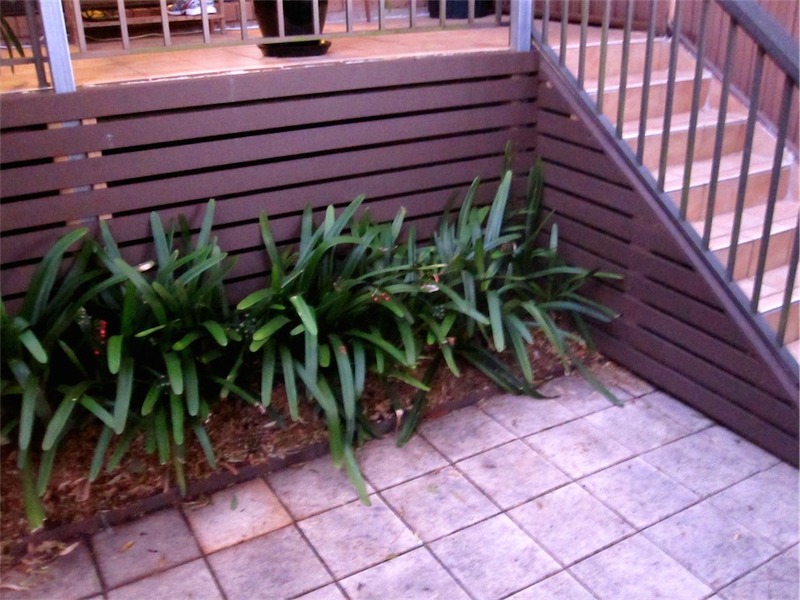 It’s been a few years since we sold the place with this deck and we still kind of miss it. I wonder what the current owners have done with the back yard? Hopefully it still looks the same. 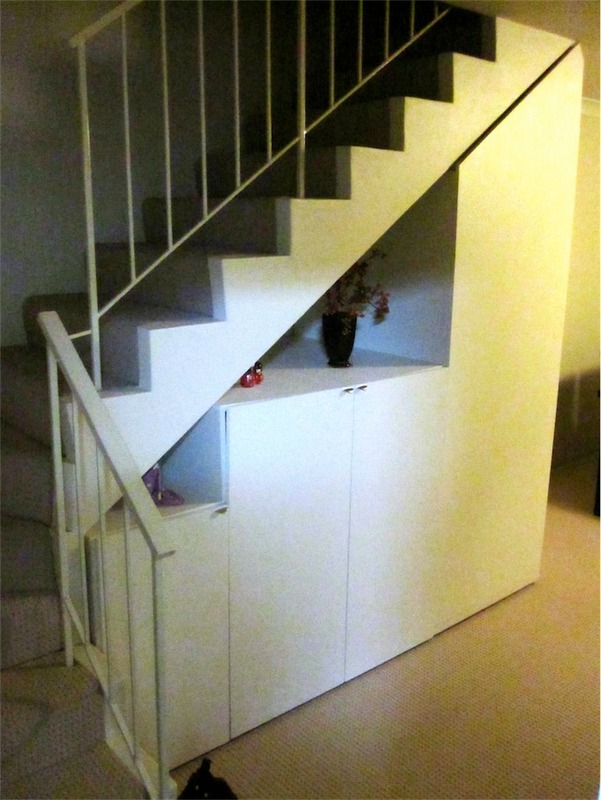 In the house we renovated there was a large cavity under the staircase that I filled with a storage cupboard. 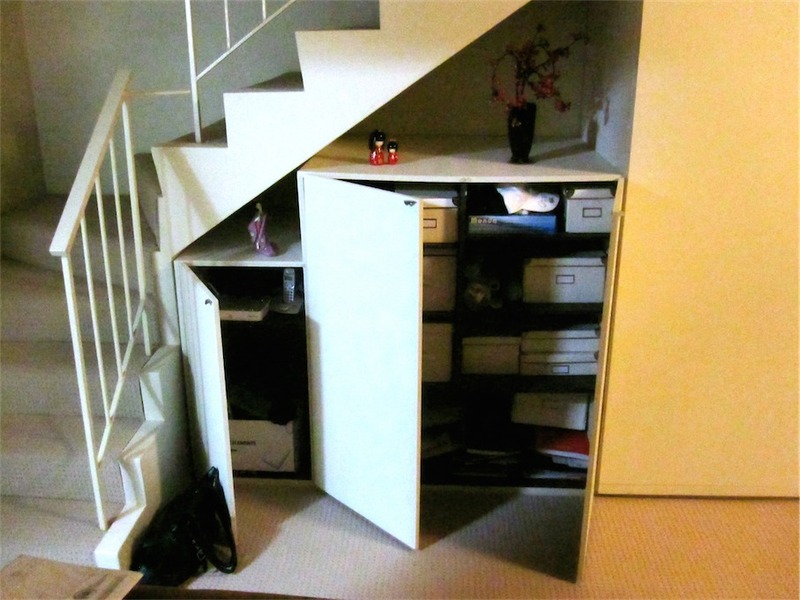 The space wouldn’t be used because it was narrow and deep, so I drew up some plans and built a giant cupboard into the space under the stairs. It had two rear facing doors with tall cupboards and three large doors that opened out to reveal shelves. 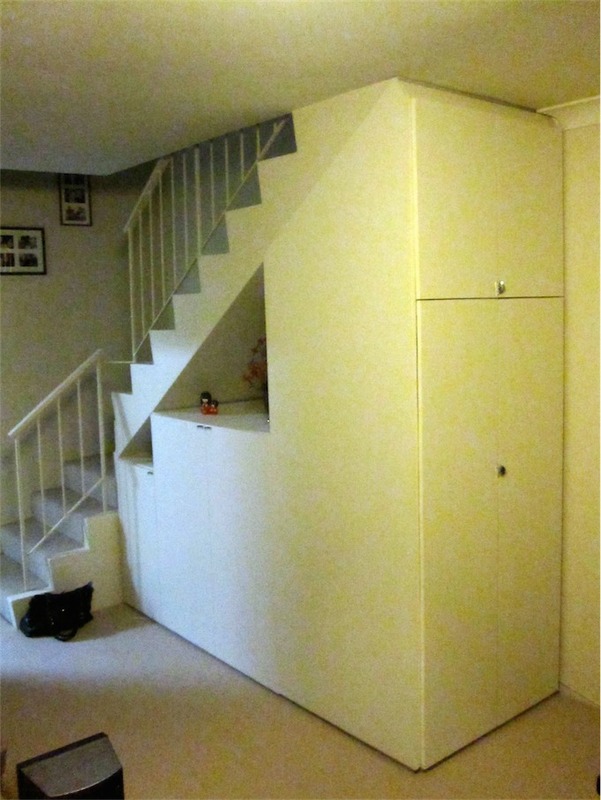 The end cupboard was great for ironing boards and tall items. We put boxes into the shelves to add even more storage room. 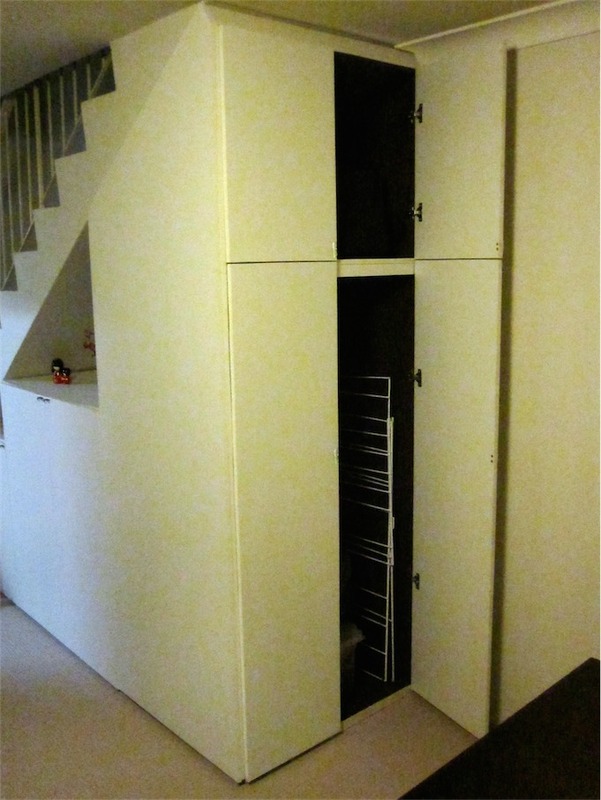 The first cupboard was quite small, but was enough to house the wi-fi router and board games. 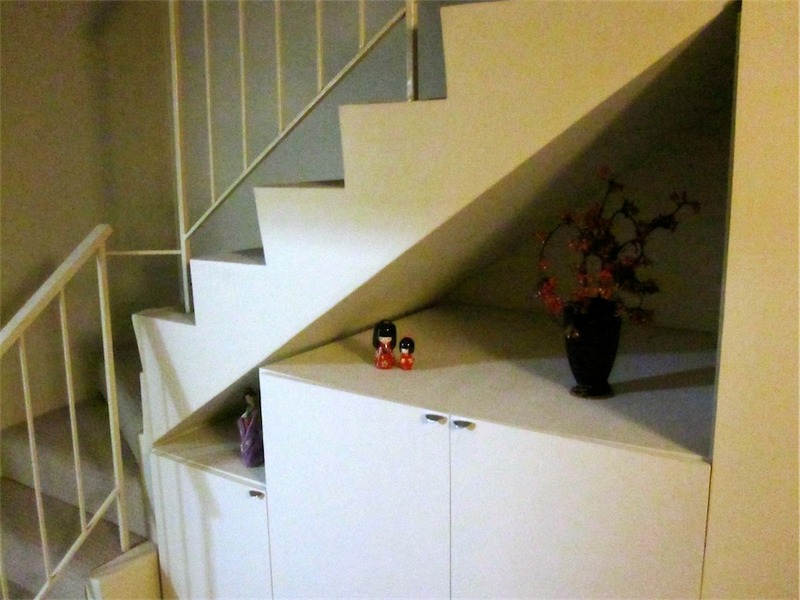 The cupboard was built to fit into the space as much as possible, but still to have room to display items on the top. It was painted the same colour as the wall to ensure it blended in with the room. Carpet was then laid around the cupboard and it became a hidden feature of the room. 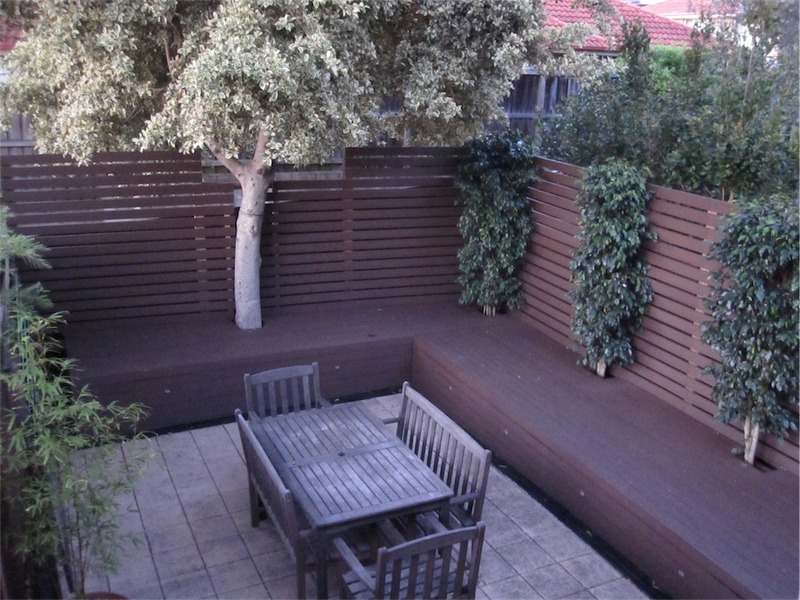 It was made out of very thick mdf boards and then painted a dark chocolate brown in the inside, but the same colour as the wall on the outside. 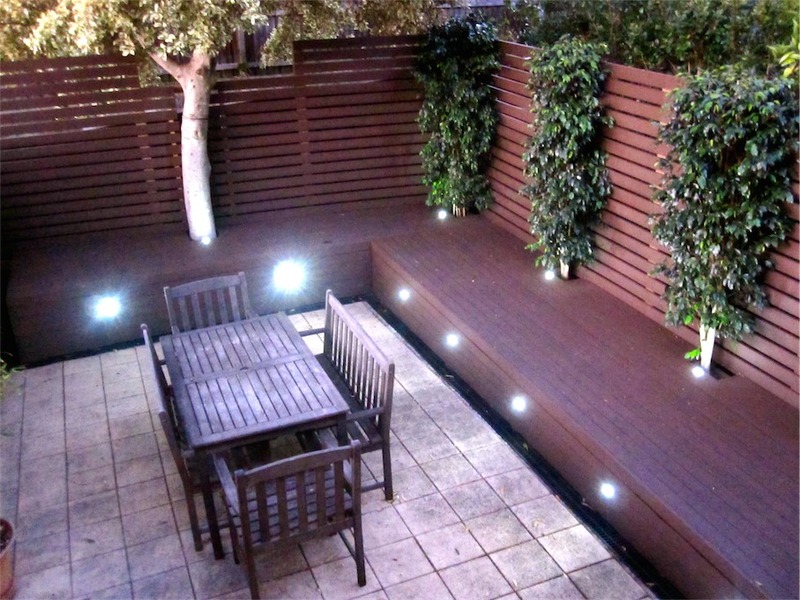 Overall it gave the small townhouse a new level storage that it previously lacked while utilising the wasted space that was currently there. 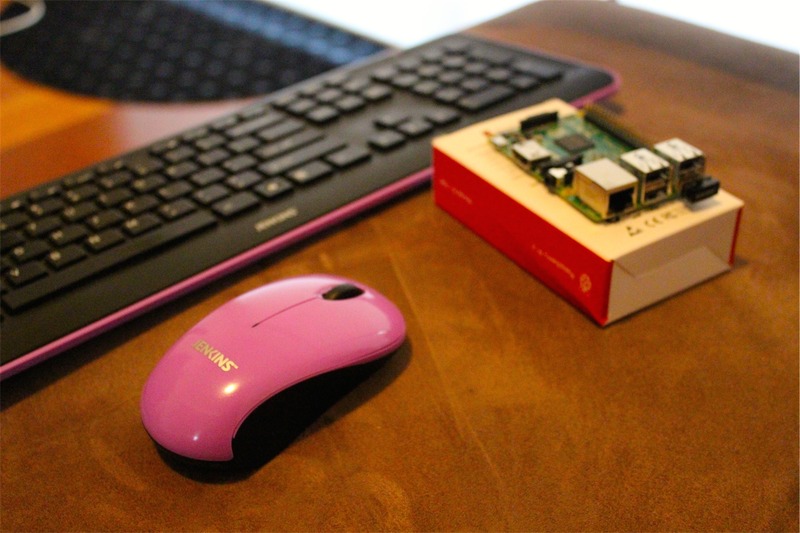 I finally bought a Raspberry Pi (2) – this is how I set it up from out of the box. 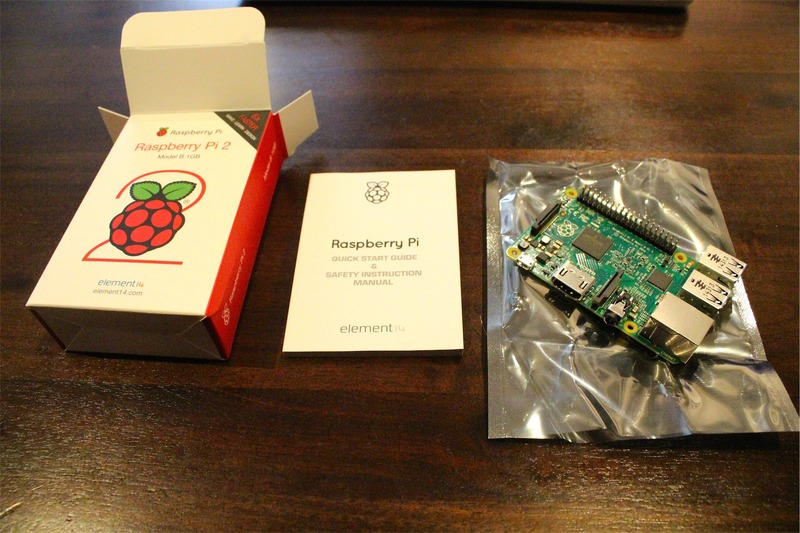 First of all I guess I should explain what a Raspberry Pi is. In short, its basically a computer that is the size of a credit card. It was primarily invented to help people learn about computers and electronics. And the price? About $60. Not bad for a computer, right? The reason I bought one was primarily to use as a media centre for my TV and also to see what else I could do with it. It was really easy to set up out of the box and really cheap. Here’s how I did it. 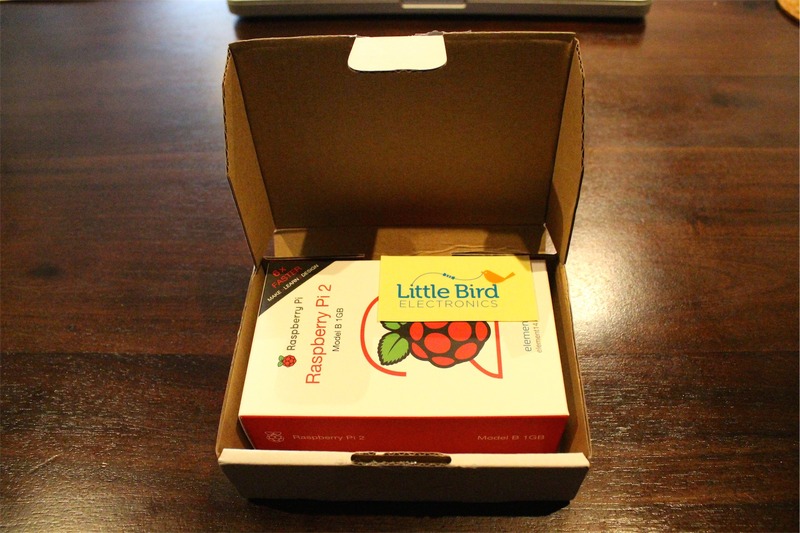 I purchased the Raspberry Pi 2 (model B) from Little Bird Electronics – http://raspberry.piaustralia.com.au/ – it sells for $62 (at time of writing) with a little bit on top for freight (about $7 from memory). 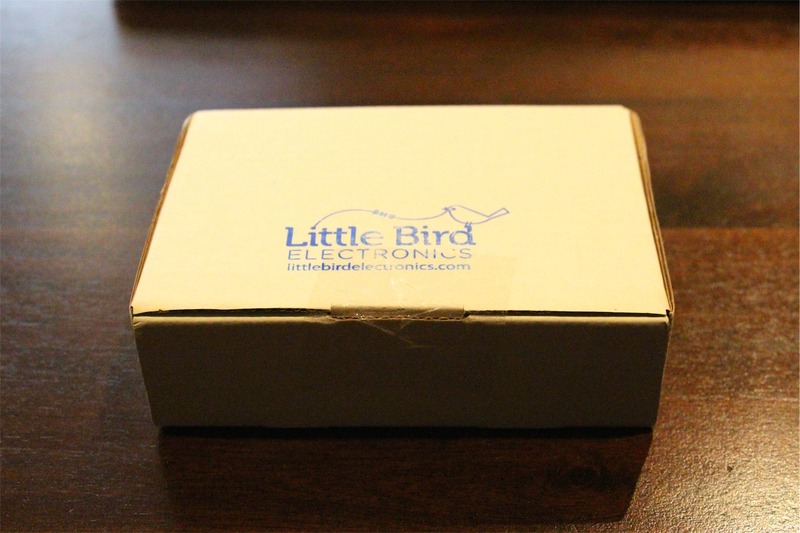 You can order them from different places, but I went with Little Bird because I know first hand that they do a lot to help out local maker communities and I believe you should support small businesses like that. 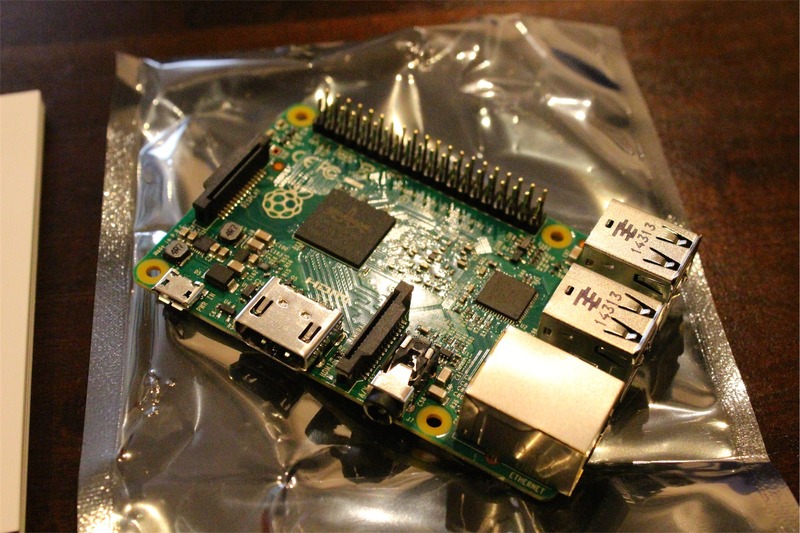 One of the reasons that the Raspberry Pi is so cheap is because it doesn’t come with anything. You have to supply your own monitor or TV (but it has a HDMI slot), keyboard and mouse (but it has USB slot for a wireless connection to a keyboard and mouse), power cord (but you can use a micro USB phone charger cable), operating system/software (but it has a slot for a micro SD card that you can load it on) and hard drive (but you can use an externally powered USB hard drive). For me this wasn’t a problem because I already had all these things. You can but a kit with the extras included if you wish. 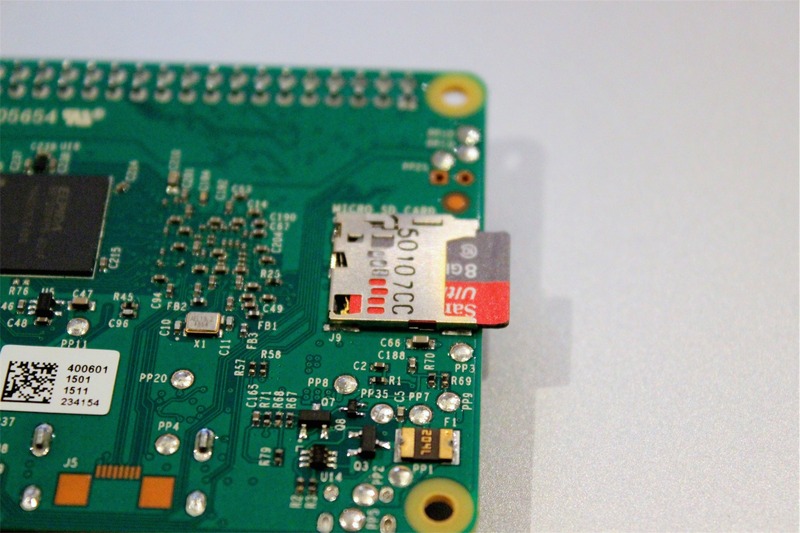 Before I start with the pictures, it’s important to point out that if you’re going to take photos of your Raspberry Pi, don’t use the flash – it can actually damage the board! Okay, I received the package and took it out of the wrapping. Just seeing this box got me excited, but what was in it was even better! 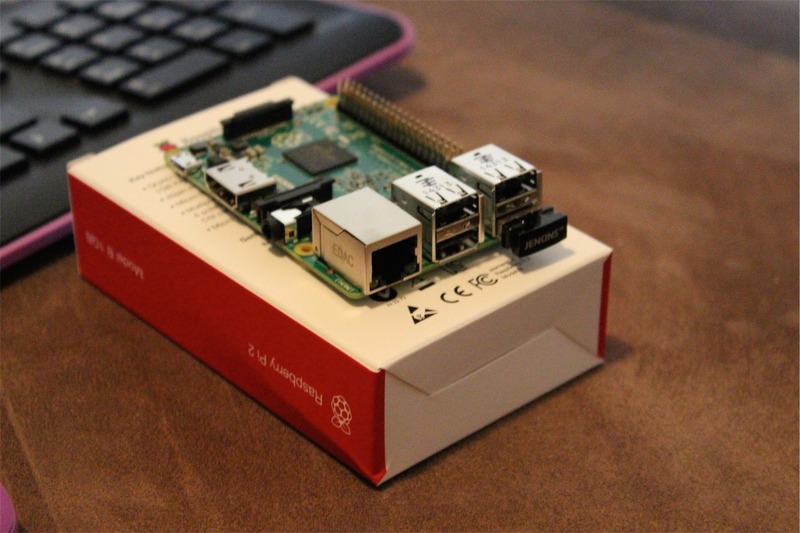 The box that the Raspberry Pi comes in is about the size of a deck of cards. Little Bird even included a little sticker! Opening the box, you find the instruction manual and a bag with the board itself inside. That’s it. So much power for such a little thing. 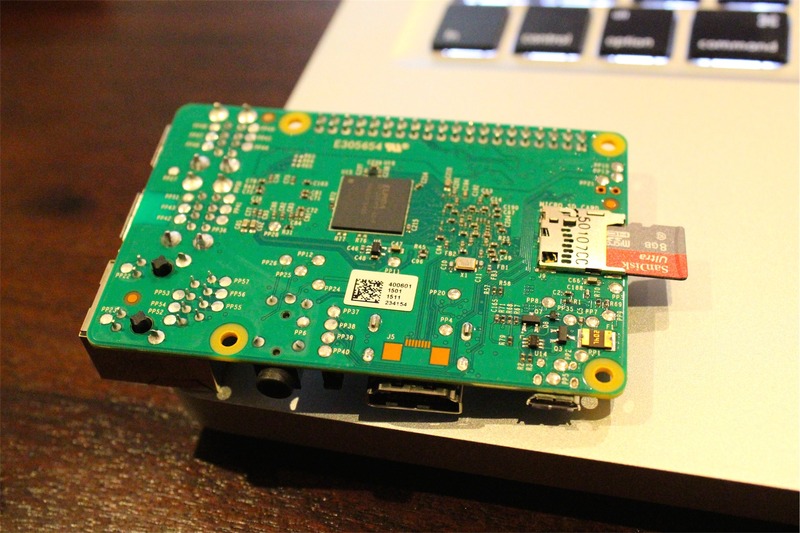 Above is a close of the Raspberry Pi itself. You can see it has four USB slots on the right hand side, next to an Ethernet cable slot. From the front left hand side there is a slot for the micro USB power cord and then the HDMI slot. Underneath is the slot for the micro SD card. 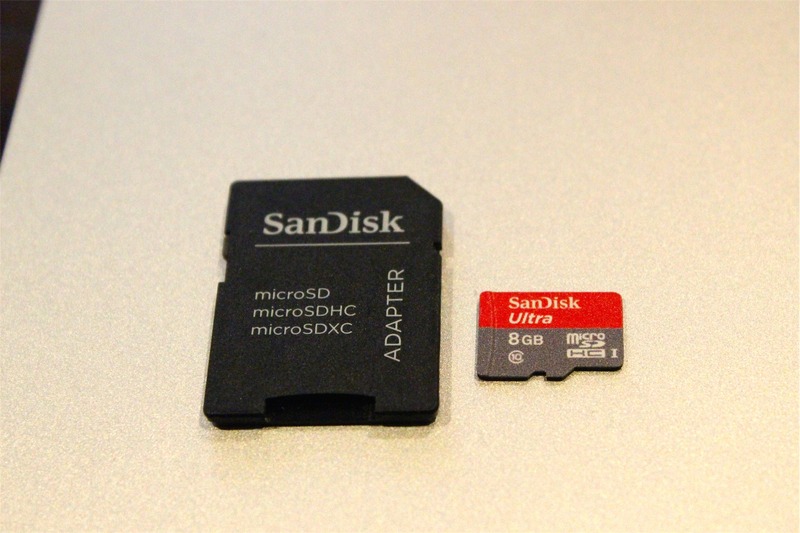 Speaking of the SD card, you need to load it up with the NOOBS software. NOOBS stands for New Out Of the Box Software (or something like that). 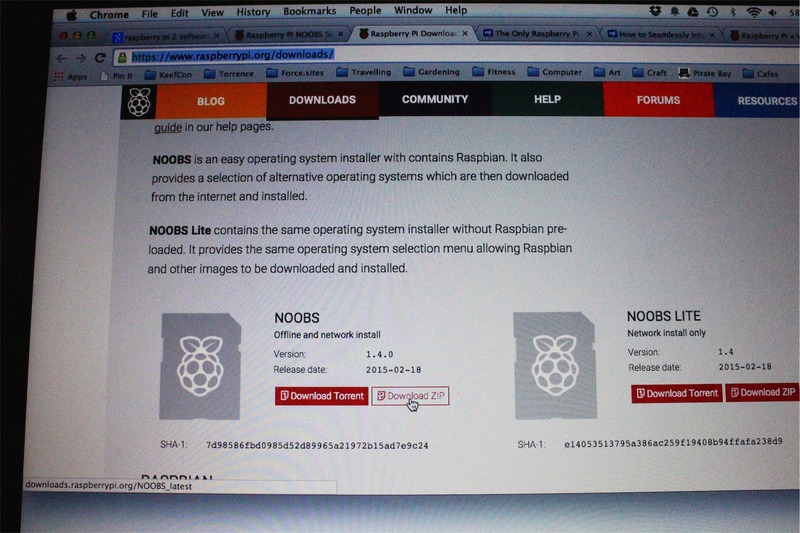 You can download it for free from the Raspberry Pi website. There are also instructions on how to load it onto the card. It’s pretty straight forward and the URL and screen shot is below. I needed to use the adapter as my Mac has an SD card slot so it plugs straight into the computer to write the software. Once you’ve loaded the software on the card, insert the card into the slot. Once the card is in, you’ll next need to connect the keyboard and mouse. I had one lying around so I just put the USB dongle into the USB slot. 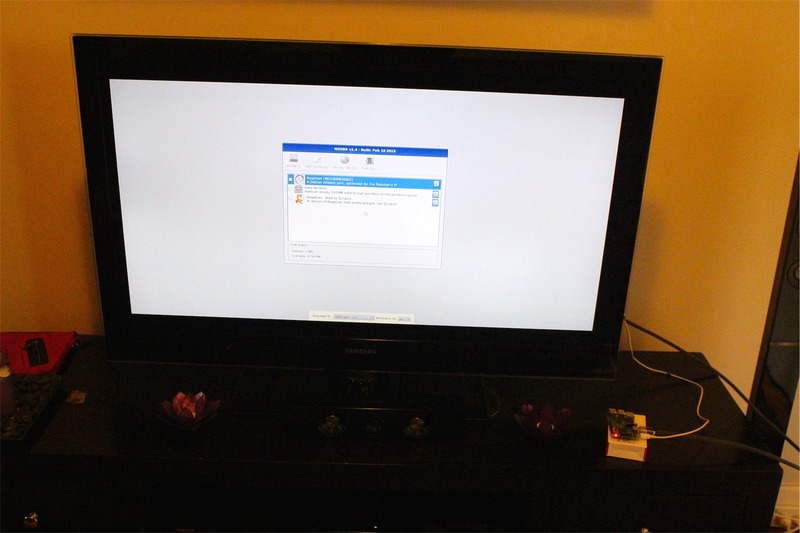 You’ll need to be able to see what you’re doing, so the next step is to plug in a HDMI cord into the HDMI slot and the other end into your TV. 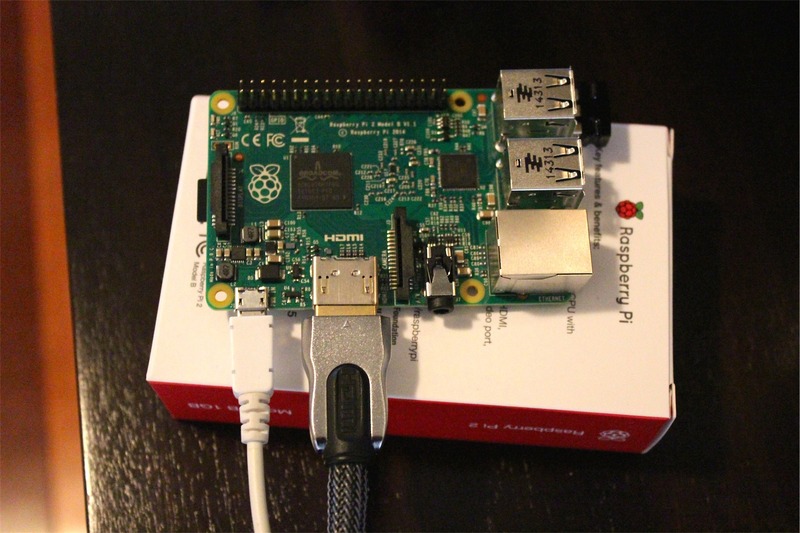 One of the cool things about the Raspberry Pi is that it doesn’t use a lot of power. 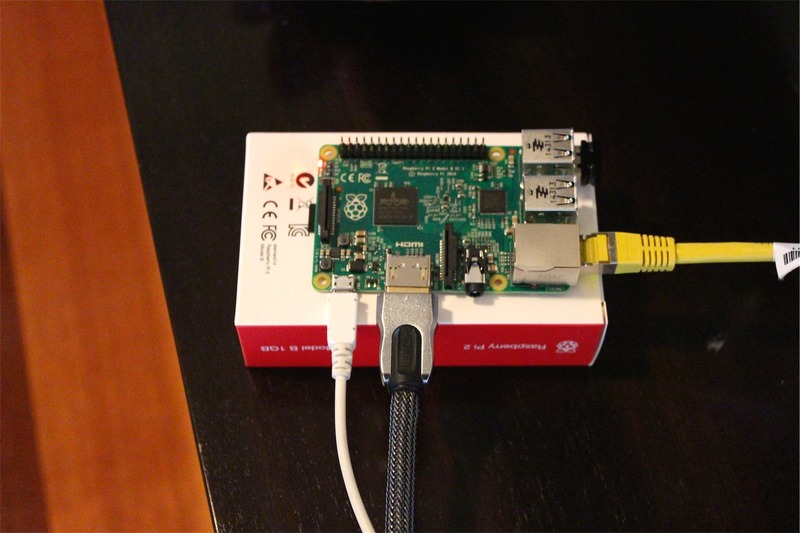 You can plug in the micro USB power cord into the Pi and the other end into the TV. 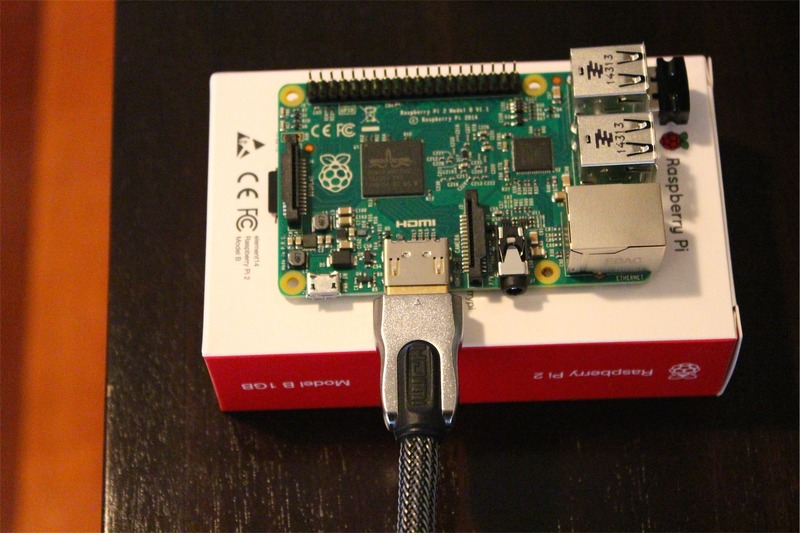 This means that when you turn the TV on, the Raspberry Pi powers up! The final step is to plug the Ethernet cable in to give it access to the internet. You can use wireless, but my router is next to my TV so it’s easier just to connect it straight to the router. Here’s a shot of everything connected up ready to go. 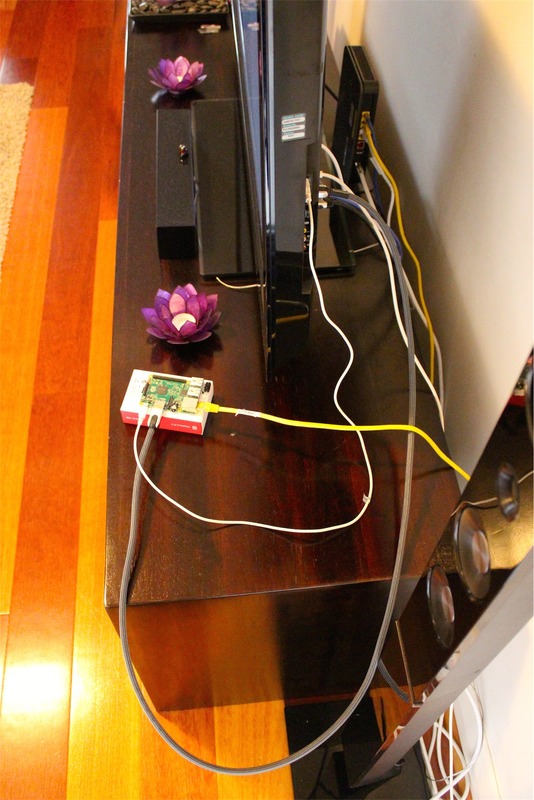 Once everything is connected up, you can turn the TV on and follow the instructions from the Raspberry Pi web site to get it working. So much fun. So much potential. But this is just the beginning…..
For work, I need to travel a fair bit domestically. And I need to wear a suit when I’m at work. I hate having to take check-in luggage because it costs extra a lot of the time, it can get lost and it’s great to be able to get out of the airport quickly (not having to wait to pick up luggage). I also hate the inconvenience of trying to manage a suit bag. I’ve done some research and done some experiments and come across the easiest and best way to be able to pack my suit and a shirt into my back pack. These are the instructions on how to roll-pack a suit and a shirt. 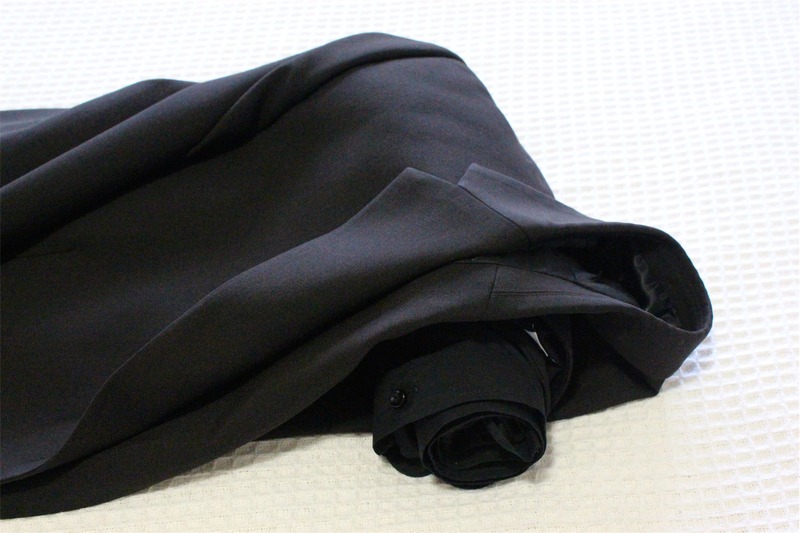 The advantages of rolling the suit up is that it minimises creases that you get from folding and it makes it a lot smaller and easier to fit into smaller places. Step 1 – Make sure the shirt is ironed. This saves a lot of hassle later as a lot of hotel rooms have really crappy irons – if at all. Step 2 – Get a large flat surface to be able to easily lay out your clothes to roll. A bed is perfect. 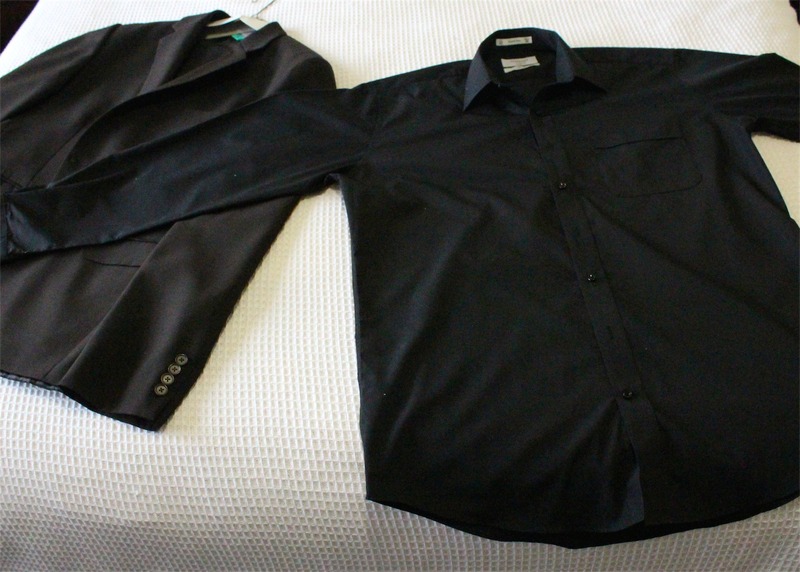 Step 3 – Start with the shirt. Make sure at least half the buttons are done up and then lay the shirt face down on the bed with the arms stretched out. Try to smooth out any wrinkles before you start folding. 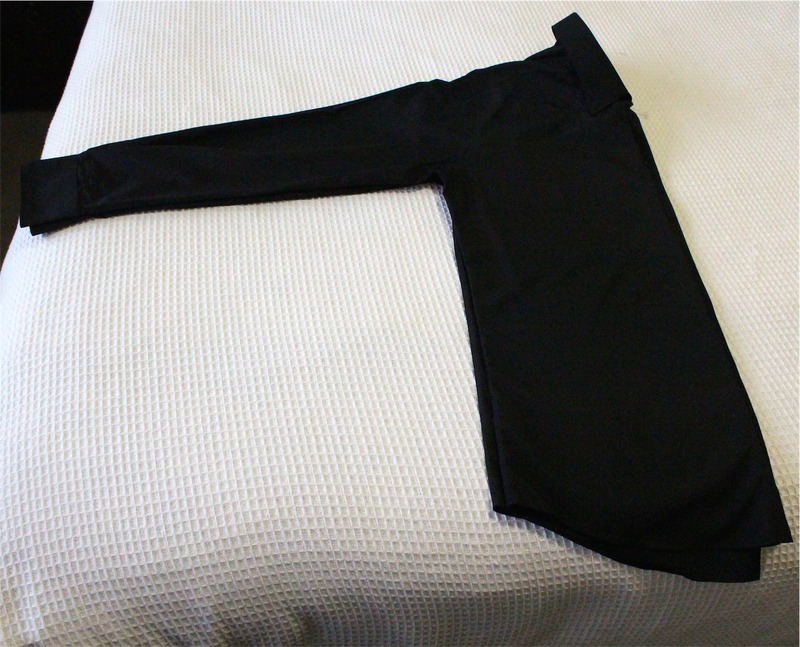 Step 4 – Take one arm and match it up with the arm on the other side so that the shirt is exactly in half length ways. The collar should be out and at the top. Again, make sure the wrinkles are smoothed out. 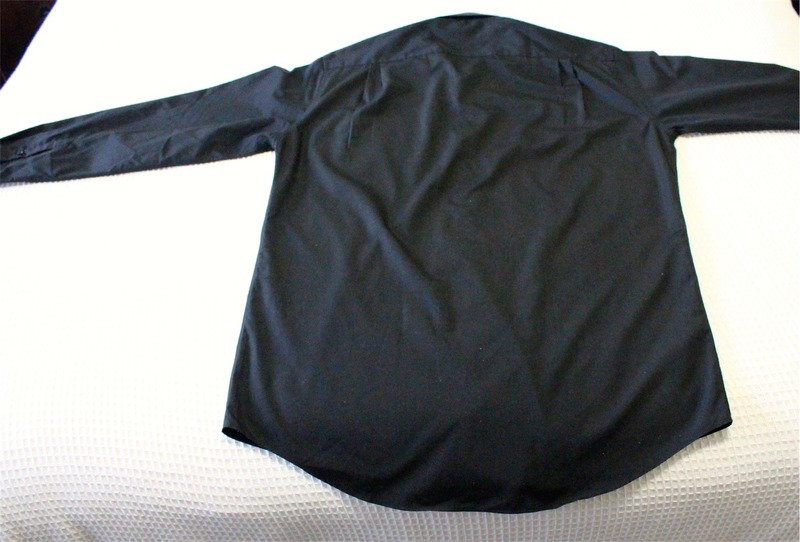 Step 5 – Bring the arms across to run down the length of the shirt. Try to get the arm to almost run down the button line. 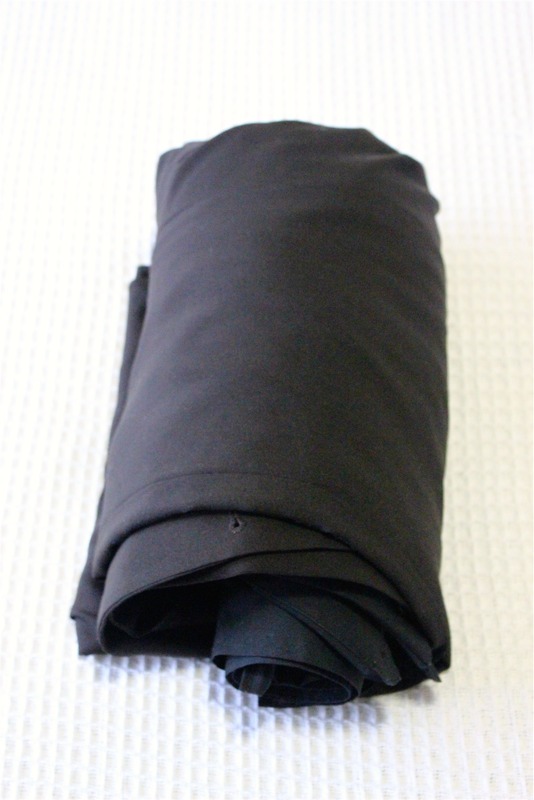 Step 6 – Starting at the bottom, roll the shirt into a cylinder – not too loose, but not too tight either. Smooth out the wrinkles as you roll it. Step 7 – When you’re finished rolling you should have a nice cylinder that has no wrinkles. Set it aside and get ready to do the suit jacket. 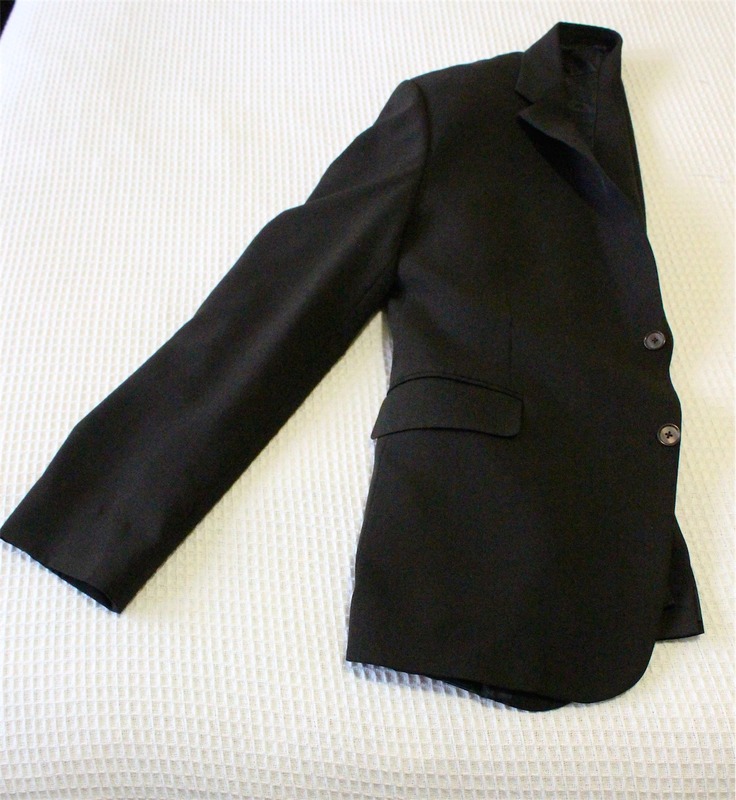 Step 8 – Lay the suit jacket down on the bed face up. Make sure all the wrinkles are out and that it’s ready to be rolled. 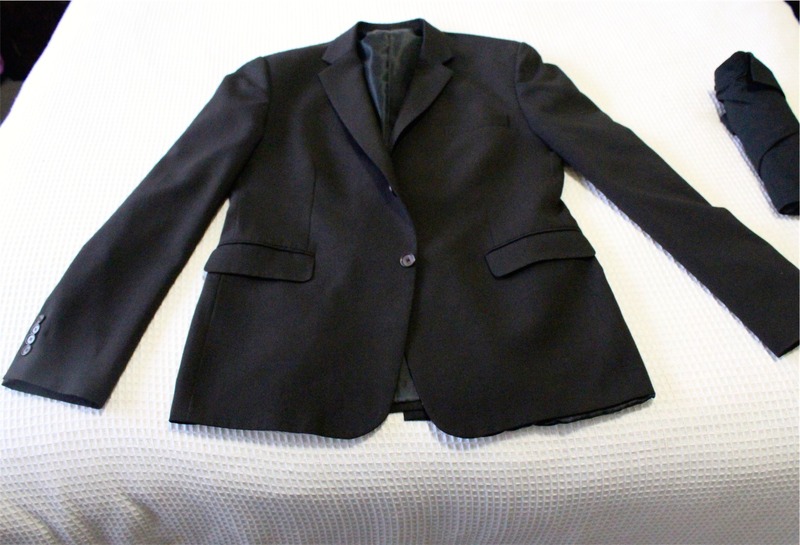 Then pick the jacket up by the collar and push the right hand shoulder into the left hand shoulder. It should fit nicely in and basically fold the jacket in half. 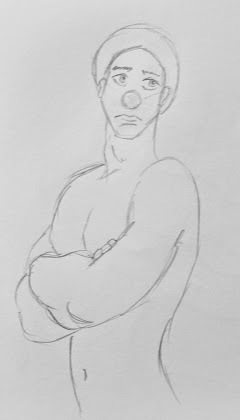 Below is what it should look like once you’ve pushed the shoulder in and laid it back down on the bed. Make sure you line up the buttons and make sure the lapels are smoothed down. 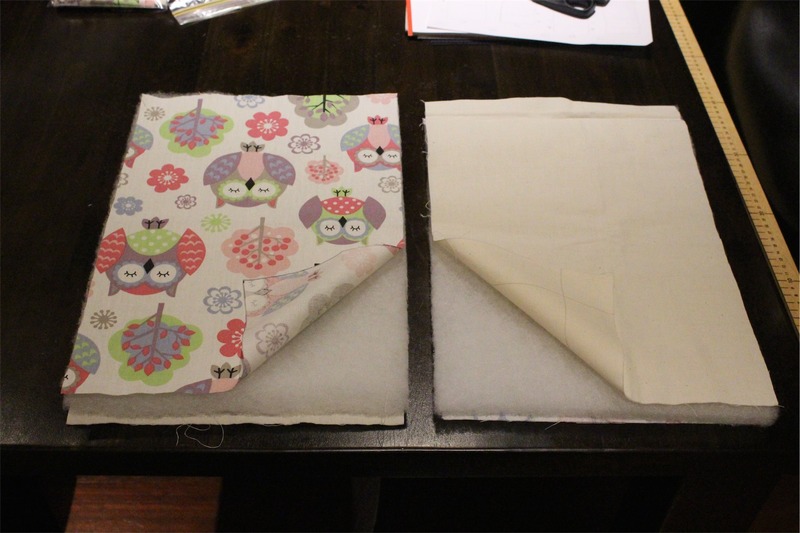 Step 9 – Fold the arm across so that it makes a rough rectangle. Ensure the arm on the inside is not crushed or wrinkled, but runs down the inside of the jacket. 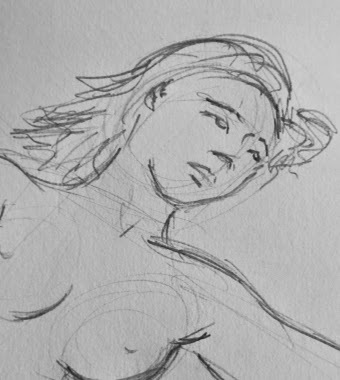 Step 10 – To ensure that the shoulder retains it shape and doesn’t get wrinkled, insert the rolled up shirt into the cavity where the shoulder is. 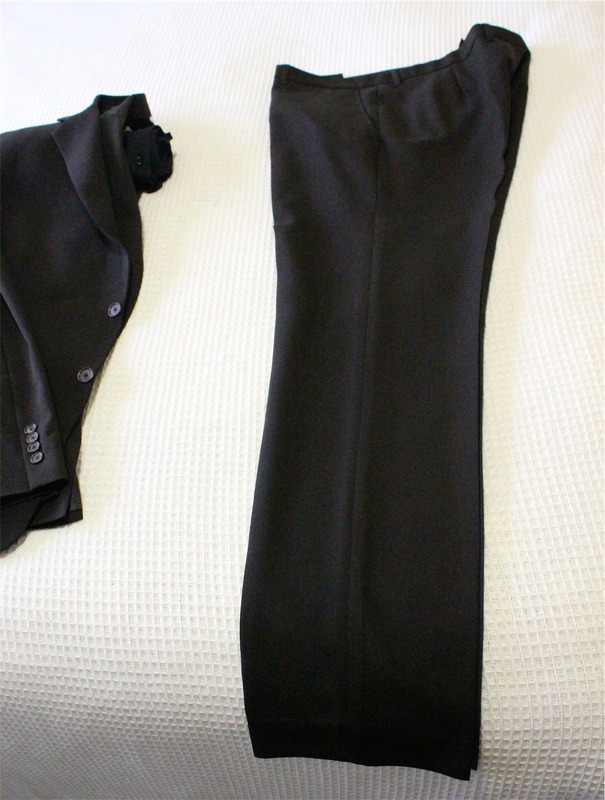 Step 11 – Next comes the suit pants. Grab the pleats and hold them together to lie the pants flat down on the bed. 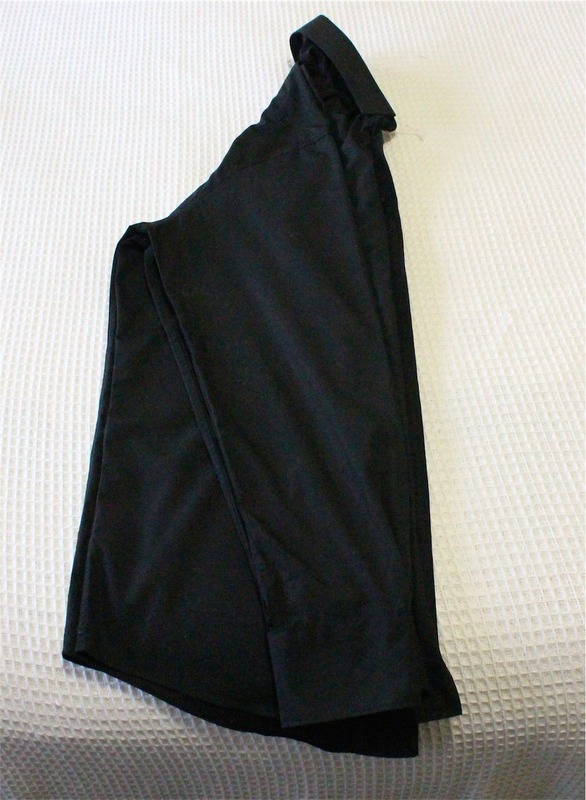 Step 12 – Tuck the top part of the pants in so that the pants make a long rectangle that’s fairly even. Make sure that there are no wrinkles. 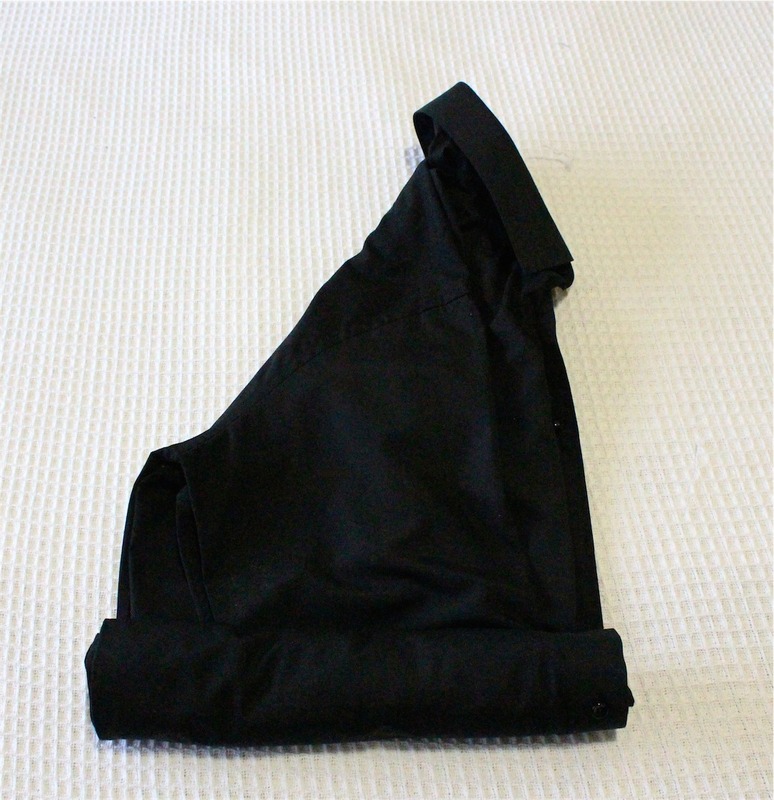 Step 13 – Fold the pants in half so that it makes a smaller rectangle. 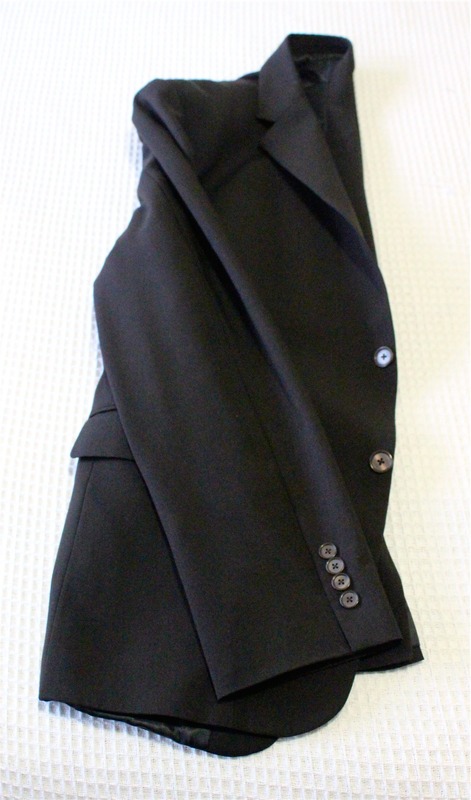 Step 14 – Place the pants onto of the suit jacket and shirt. 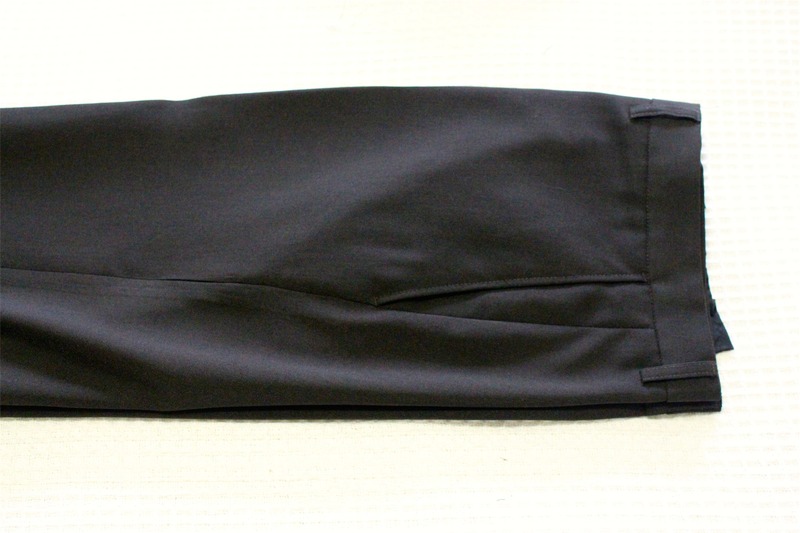 Line up the bottom of the jacket with the bottom of the pants so that they lie flat. Step 15 – Start at the top of the jacket (where the shirt is) and roll down towards the bottom of the jacket. Roll it up firmly, but not too tight. Smooth out the wrinkles as you roll it. 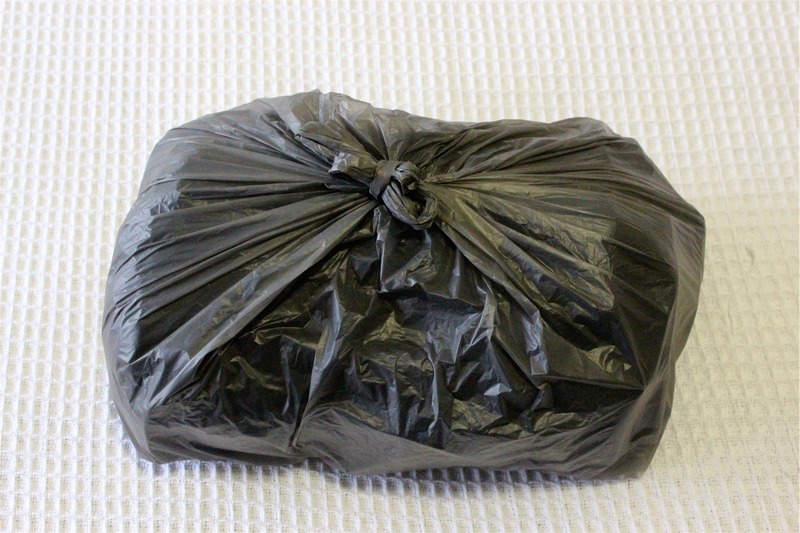 Step 16 – Find a plastic bag that’s around the same size as the suit rolled up. Make sure the bag isn’t wet or dirty. Place the suit roll in the bag. 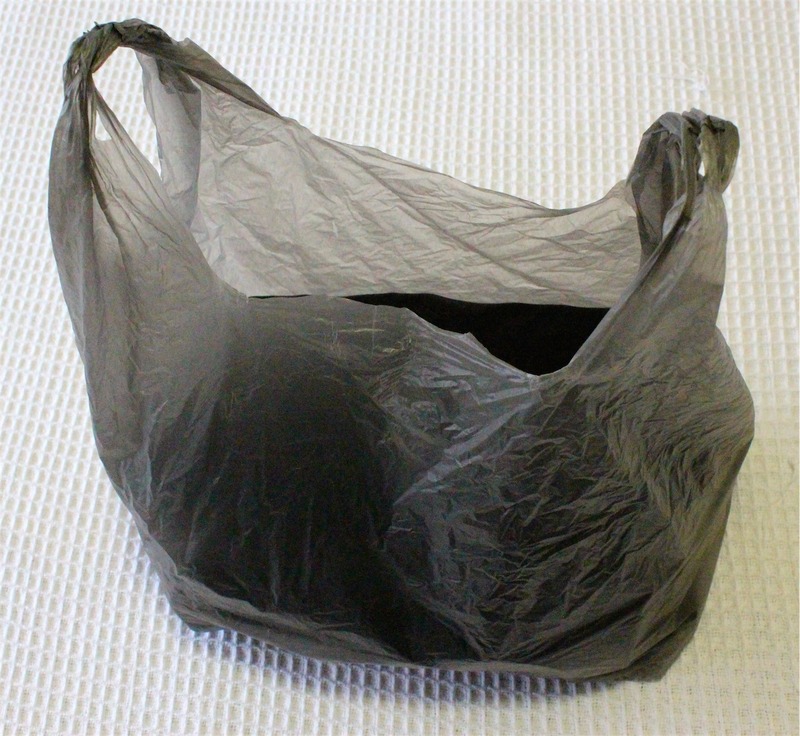 Step 17 – Squeeze most of the air out of the bag and then tie it up. This will help if something spills in your bag. It may not be waterproof, but hopefully it will help to protect the suit roll in case of a problem. 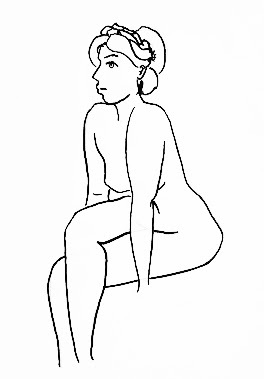 Step 18 – Place it in the back pack or suit case and try not to crush it. 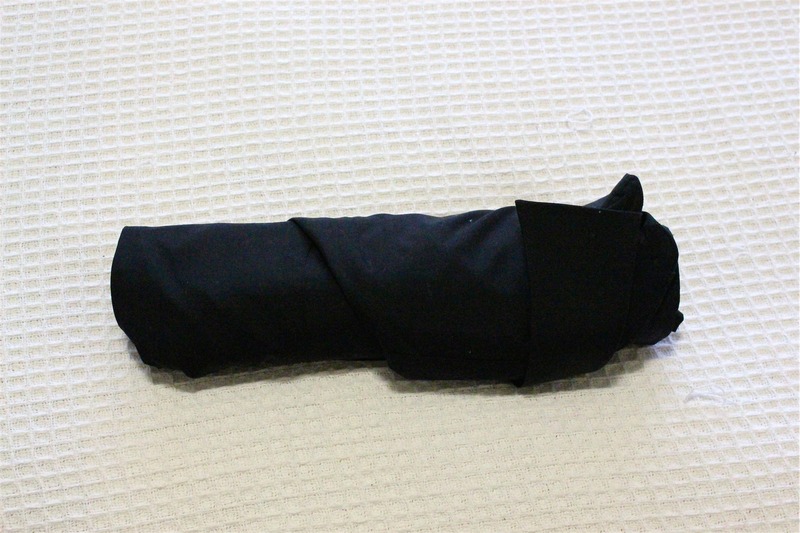 Step 19 – When you get to the hotel, immediately take it out of the bag and unroll it. Hang all the items up separately in the closet and let the wrinkles fall out. If there is no danger of it getting wet, exposing the them to some steam (eg hot shower) is sometimes good as well. All going well, this technique should minimise the wrinkles and mean that the suit is wearable without having to iron anything. It also means that you can squeeze it into a backpack and avoid the check-in luggage hassles! To complete the outfit, pack your socks into your dress shoes and then put them in a plastic bag under the suit in the backpack. If you’re wearing jeans when you travel, wear the belt you would wear with the suit to save having to pack it (or forget it). If you need to wear a tie, fold it and lay it on top of the pants before rolling.